Off-road driving is a lot of fun, but you need to master a few basic techniques in order to navigate the trails safely. Follow these tips to stay safe while driving off-road. Plan your route in advance. Use Google Earth to get a preview of the kind of terrain you’ll be diving over. While driving, go slowly and keep an eye on the road ahead so you’re not surprised by sudden corners or bumps. If the trail starts to get rough and you’re not sure whether you’ll be able to pass, get out of the car and scout ahead on foot to find out what you’ll be facing if you carry on. The ideal tire pressure for off-road driving is lower than for driving on the road. Dropping the tire pressure slightly can give you better grip and a smoother ride on a bumpy trail. The pressure monitoring system in the 2016 Mazda CX-5 can tell you how much pressure is currently in the tires and whether it is within an acceptable range. In most off-road situations, driving slowly in a low gear is the best way to navigate your way over rocks and through thick mud. However, if you’re driving on sand, the wheels need a bit more speed to avoid sinking in too much, so a higher gear can be more appropriate. 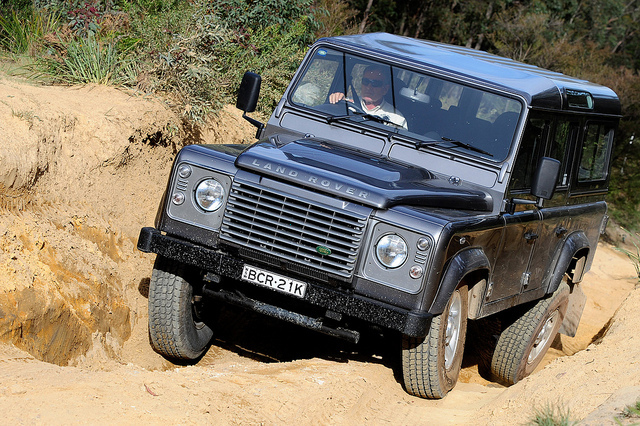 Finding traction of the most essential skills to master as an off-road SUV driver. Rather than pressing on the gas to try to drive your car out of a dip or groove, back off the throttle and turn the steering wheel back and forth to help the tires find traction on the ground. If you can’t get out forward, try reversing out of the dip and trying a different route across the difficult patch of ground. 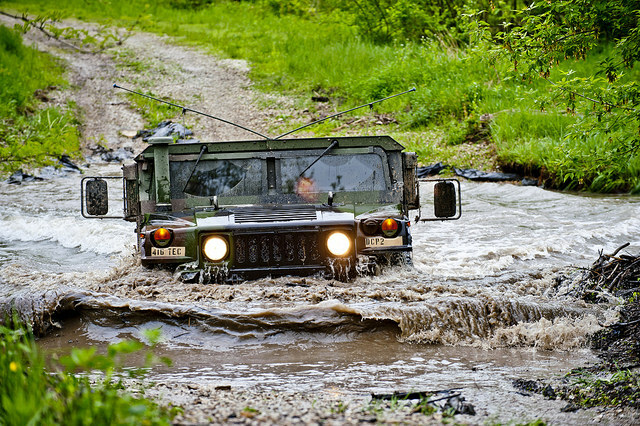 Before you set out on a trail in wet conditions, check the wading depth of your vehicle. This is the depth of water your vehicle can safely enter, without risking damage to the internal electronics or flooding the air intake. Wade into water on foot to find out how deep it is before you go ahead and drive your vehicle into the water. If the water is deeper than the wading depth of your vehicle, you may need to turn around and find a different route. Even experienced off-road drivers occasionally get stuck on a particularly difficult patch of trail. Prepare for this situation by bringing a recovery kit, which should include a heavy-duty tow strap and an electric winch that can handle the weight of your vehicle. Also bring water, food, and a mobile phone, just in case you can’t free the car and need to call for help. If you’re going to be driving in very cold weather, create a winter car survival kit before you set off. The essentials in this kit include blankets to keep you warm while you wait for rescue. Michael Galloway has done plenty of off-road driving thanks to his military background. He now works in promoting road safety and enjoys sharing his insights online. He is a frequent contributor for a number of relevant websites. Image by The National,DVIDSHUB,landrovermena Under Creative Common License.